We ship millions of items millions of miles every year, and it’s all thanks to our state-of-the-art, world-class supply chain operation. 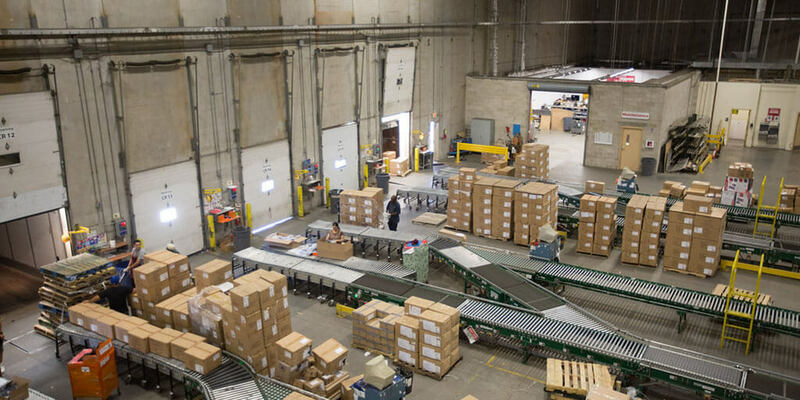 Our seven distribution centers in New Jersey and California feature the latest intelligent software, supply chain technology, and cutting-edge processes. These facilities move more than 45,000 cartons a day on average (that number jumps to over 75,000 during the holiday season). With an ever-expanding business model, our supply chain teams are constantly seeking engineers and other talented professionals to help us continue thriving. As a member of our distribution center team, you’ll work closely with partners in information technology, planning and allocation, and transportation to get products to our stores in a timely and safe manner. Through our Supply Chain Leader Development Program you will be provided the opportunity to learn and develop your skills and talents through a structured curriculum that will prepare you for a challenging leadership role in our Supply Chain organization. Upon your arrival, you are welcomed by your mentor and the entire Supply Chain Team. To build a solid foundation, the first 10 weeks of this 18-month program introduce you to our overall organization and Supply Chain operations in our Edgewater Park, New Jersey and San Bernardino, California facilities. For the remainder of the program, you are given a variety of 4-6 month rotations, each with greater responsibility to stretch you to learn and grow. At the end of the 18 months, you are then assigned a leadership position in the Supply Chain organization. Leading @ Burlington (L@B) is a leadership growth and development program for corporate, supply chain and distribution center supervisors, managers and directors. This engaging program runs year-round with new learning themes introduced every series/season. The learning themes focus on strengthening our leadership competencies found in Burlington’s Leadership Competency Model. Each L@B series is different and has a blended learning approach to include instructor-led sessions, eLearning courses, publication sharing, leadership tips, podcasts and more!